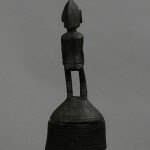 This is an elaborately carved, monumental Dogon ritual vessel with a female figure on the lid and the vessel supported by a horse. The horse is fairly abstract with a large triangular head. The tail’s root is there, but the tail hairs missing. 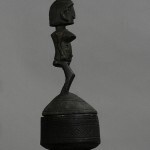 This ceremonial container was used to hold food consumed during the initial rituals of Dogon religious and political leaders known as ‘hogon’. Hogon are the high priests of the cult of Lebe, the first Dogon ancestor to die, whose body was miraculously transformed into a snake after his death. Associated with regeneration and renewal, the cult is charged with maintaining the earth’s fertility and ensuring the protection and well-being of Dogon society. The container’s large size and visual elaborated details indicate the hogon’s importance within the life of a Dogon community. 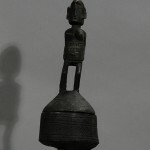 It’s complex iconography can be interpreted using Dogon accounts of cosmology recorded in the early twentieth century. 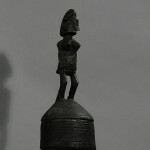 At the top of the vessel, a heroic figure represents the hogon. 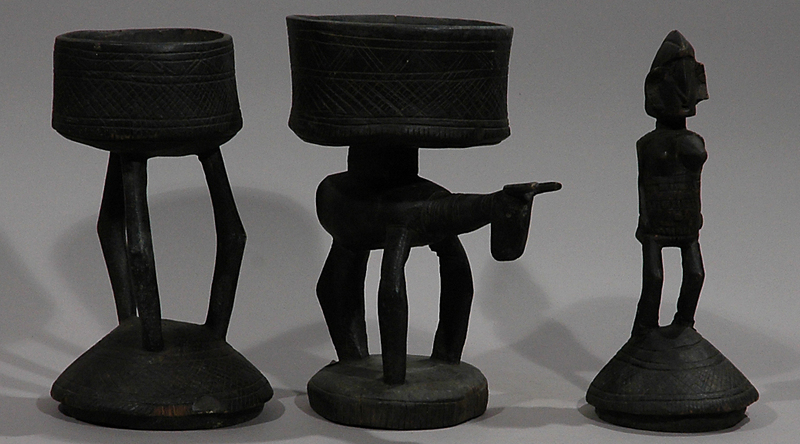 The horse is a traditional indication of wealth, prestige, and social dominance, but in this context it also suggests the hogon’s symbolic place within the Dogon cosmic order. It equates the hogon with Nommo, the mythic being that transformed itself into a horse to convey an ark carrying the eight primordial ancestors to earth. Two equine forms that support the container reinforce the hogon’s connection to this moment in creation. Provenance: A gift to a Danish film director during filming in Mali in 1967. It remained in his collection until 2003, when CHRISTA’S acquired it from his heirs. Literature: Chemeche, George, The Horse Rider in African Art, Suffolk 2011, p. 58 f.Leloup, Hélène, Dogon, Paris 2011, p. 312 f.